Over the years, the India-Australia rivalry has achieved considerable prominence in the cricketing folklore. There’s always a sense of anticipation among fans of both the nations whenever these two sides clash in a bilateral cricket series. Even the players from both nations hold the rivalry in high regard, and consider a win in an India-Australia series as the zenith of their careers. 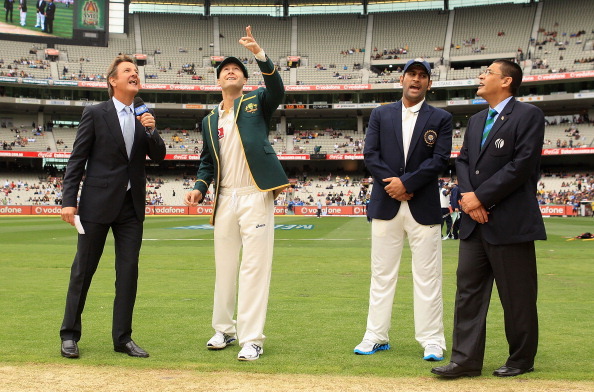 So what has made the India-Australia rivalry reach such a colossal stature? What’s been so unique in India-Australia contests that it has even transcended tradition rivalries such as the Ashes and India v Pakistan? Is it just the performances of the players which has made India-Australia contest a celebrated rivalry in both the nations, or are there more aspects to it? As India and Australia are set to battle it out in the Border-Gavaskar trophy, let us look at the reasons why India-Australia rivalry is special. The history of The Ashes dates back to the late 1800s, whereas the India-Pakistan rivalry has been going on since 1947. These perennial rivalries have had fans revelling for many years. On the other hand, the India-Australia isn’t one which was born out of tradition. It is the epic duels between the two sides over the years that has made India-Australia contests special. Melbourne 1981, Chennai 1986, Kolkata 2001, Adelaide 2003, Mohali 2010 and many more. These riveting and thrilling matches have not only enthralled the masses, but have also taken the India-Australia rivalry to the next level. 1998, Chennai. 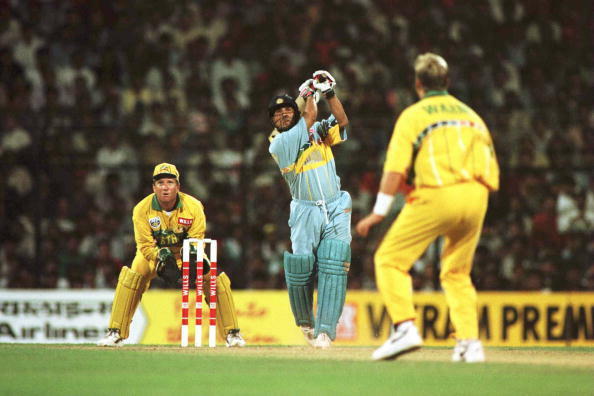 In the first innings, Shane Warne flummoxed Sachin Tendulkar with a wrong-one coming around the wicket. In the second innings, Tendulkar, after having spent four days in the nets facing L Sivaramakrishnan with a spot outside leg stump scuffed, thwacked Warne for a six the first ball Warne bowled around the wicket. That day, a famous rivalry was born. Over the years, there have been so many instances where a compelling one-on-one exchange between the players has not just changed the complexion of an India-Australia match, but also kept the viewers at the edge of their seats. Gavaskar-Lillee, Tendulkar-Warne, Ponting-Ishant, Ponting-Harbhajan – there are many intriguing one-on-one battles that have been fascinating the fans for quite a few years now. They say that scoring a century or bagging a five-wicket haul against a quality opposition is what separates the men from the boys. The India-Australia series is one such occasion that brings the best out of every individual involved. There are a host of cricketers who have burst in an India-Australia series and have made a name for themselves. From a young Tendulkar compiling a gritty ton at Perth in 1992 to a doughty Michael Clarke scoring a ton on debut at Bangalore in 2004, there are many names in international cricket presently who have thrived in an India-Australia contest and then went become huge names in the cricketing circuit. India and Australia are two very different cricketing nations. While India’s propensity towards spin-bowling is well-known, Australia has predominantly been a fast-bowling nation. While India’s batting is more about touch and timing, Australian batsman are known to using brute force to score runs. Even when it comes to sledging, both teams are considerably different. While Indians generally refrain from sledging and prefer to make their performances talk, Australia, on the contrary, don’t mind indulging in ‘constructive’ banters on the cricket field. The plethora of characters both sides bring to the cricket field make it a fascinating mix of players and is always enjoyable to watch for a cricket lover. Steve Waugh described winning a series in India as ‘The Final Frontier’. India, too, has always considered a series win Down Under among one of their most desired goals. Winning a series against the other in their own backyard has always been considered a herculean task by both India and Australia. And to achieve that, every series has been fought with players from both sides giving more than a hundred percent on the field, something that could be seen by the unparalleled intensity of the matches between these two sides. Surely, the India-Australia rivalry never ceases to amaze.